With the UK set for the worst drought since 1976, the Science and Technology Committee is recommending the Met Office develop a 10-year plan for supercomputing capacity. In 2009, the Met Office signed a five-year contract to deliver supercomputing capacity to improve weather forecasting. At the time, it was the second fastest supercomputer in the UK, and was expected to attain a 30-fold increase in speed to 1 petaflop during 2011. Illustrating the need for greater supercomputer capacity, the report noted that each day the Met Office receives and uses approximately half a million observations. This includes data on temperature, pressure, wind speed, wind direction and humidity. This data is collected and used to build complex mathematical models for forecasting. “Forecasting involves making billions of mathematical calculations; therefore powerful supercomputers are required to carry out these calculations as quickly as possible,” said the Science and Technology Committee. Drawing evidence from government chief scientific adviser, professor Sir John Beddington, the report stated: “A step-change increase in supercomputing capacity [...] would be required to most effectively meet the government’s key evidence and advice needs.” However, this improvement in supercomputing capacity would require a four-fold increase in cost. While commercial organisations are turning to grid computing in the cloud to deliver low-cost supercomputing capacity on-demand, the Met Office stated that cloud computing was not sufficient for its needs. However, Beddington stated that “in a limited number of instances, grid or network computing may offer a viable and cost-effective approach, such as for low-resolution ensembles”. The Science and Technology Committee is recommending that the Met Office work with the research councils and other partners in the UK and abroad to develop a 10-year strategy for supercomputing resources in weather and climate. 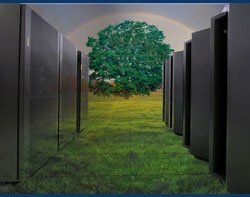 “This should include an assessment of which areas in weather and climate research and forecasting might benefit from low-cost options to enhance supercomputing capacity,” the report stated.